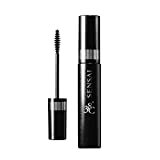 A lightweight curling-and-lifting mascara in an intense, carbon-black pigment. 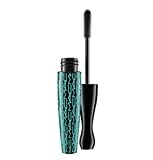 Applies with a petite gripper brush embedded with microspheres to give each lash effortless, upward-bending definition and extreme volume. Easy wash-off formula. Smudge-free. Lasts 16 hours. 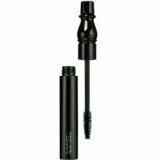 MAC’s lightweight, whipped formula is now available in an intense, blacker-than-black pigment that saturates lashes root to tip, adds volume, extends length and creates curl while conditioning for softness and flexibility. The final result is extreme dimension that won’t smudge, clump or flake. The exclusive mega brush is designed to apply an optimal amount of mascara. Superlative style and state-of-the-art science merge. A new formula in a more saturated, intense black with extra volumization, expansion and curl delivered dramatically with MAC’s most bodacious brush yet. Lasts 15 hours!